Knightmare Battle-04: Occurs during Automatic Scene-26, with only one choice and no Dead Ends. Name: Refrain Battle, Black Knights Route. 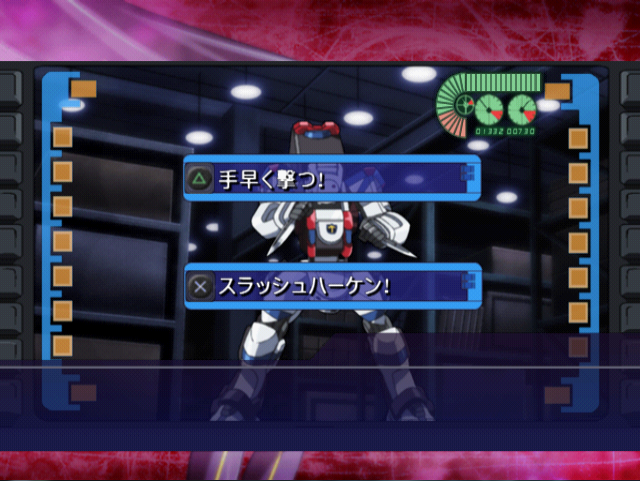 Winning Choices: Either choice will bring about a Happy End, but one will let you capture a enemy frame, and the other will let you rescue Kallen. Triangle Option: Quickly shoot at him!